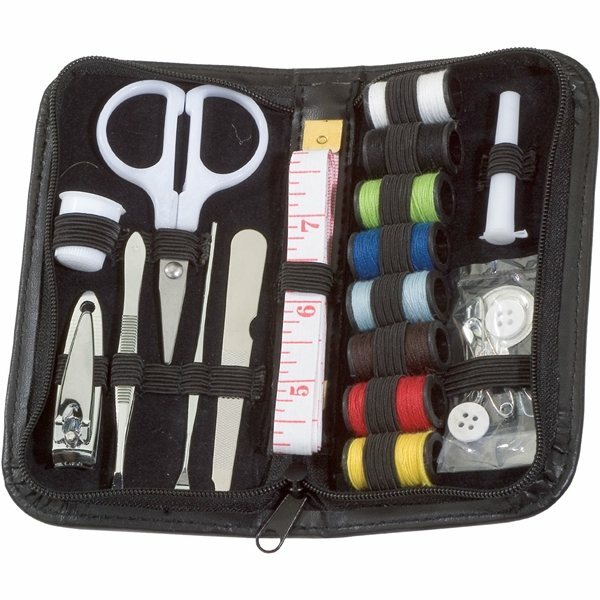 Zippered leatherette case features eight spools of thread, vinyl tape measure, three needles in a plastic container, plastic thimble, two safety pins, two buttons, needle threader, tweezers, scissors, small nail clipper, cuticle pusher and a nail file. NOTE: Product comes with Prop 65 warning label. Label reads: "WARNING: This product may contain carcinogen, which is known to the State of California to cause cancer, birth defects and other reproductive harm. For more information, go to www.P65Warnings.ca.gov. It seems sturdy. It looks sharp. We used the print art to include our logo. It came out very good. 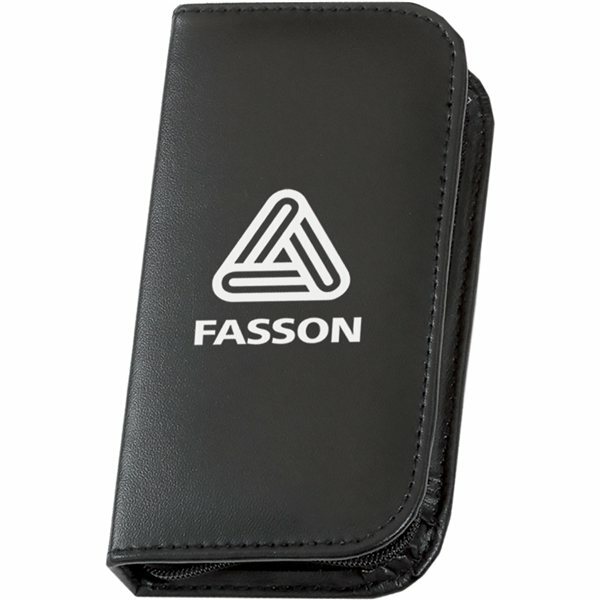 The quality is good, the imprint perfect. These were an enormous hit in the trade event. We could not keep your shelf filled. Works great. Fun promotional product! It exceeded our expectations.